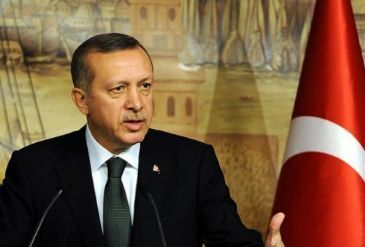 BOGOTA - Trade volume between Turkey and Colombia will rise to $5 billion by 2023, Turkey’s President Recep Tayyip Erdogan said during a speech at the Turkey-Colombia business forum in Bogota Tuesday. At the event, which is part of the Turkish president's official vist to Colombia, Erdogan said that Colombia was one of Turkey’s most important trade partners in Latin America and the Caribbean, adding that the current $1.4 billion trade volume was significantly low. Erdogan spoke of how Turkey’s economy had developed within the last 12 years, reminding of investments in highways, airports and bridges and added that Colombia also had great potential since it has a dynamic population and is rich in natural resources. Erdogan stated that there were no Colombian investments in Turkey, while three Turkish companies operating in Colombia had investments worth about $220 million. A Turkish construction company is currently undertaking a railway project in the northern Colombian city of Ipiales. Colombian President Juan Manuel Santos Calderon invited Turkish businessmen to invest in his country and said he believed Turkish companies would do good work in the construction sector. Calderon said Colombia will evaluate its opportunities to strengthen relations with Turkey.